Founded in 2008, The Sweetest Occasion is widely recognized as a leading entertaining and lifestyle blog. 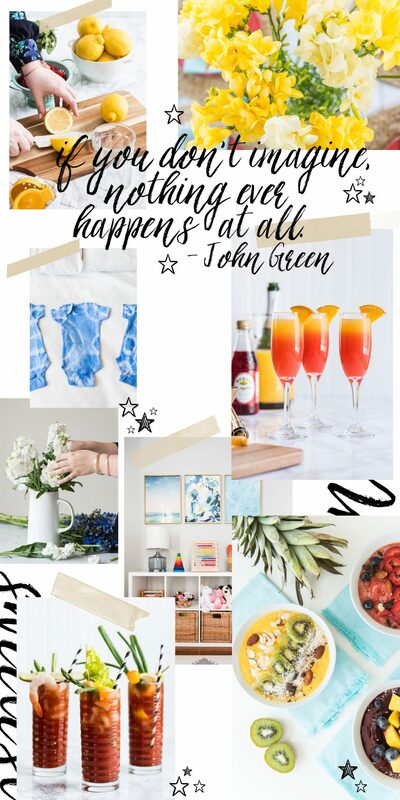 With content covering a diverse range of party ideas, home decor and design, pretty DIY ideas, fun recipes and festive cocktails, editors everywhere are taking note of what The Sweetest Occasion has going on! Notable press mentions include Better Homes & Gardens, Every Day with Rachael Ray, Martha Stewart, The Today Show, People, Country Living, House Beautiful and Good Housekeeping. Founder and creative director Cyd Converse has been tapped to speak at numerous design and blogging conferences and workshops, and is available for events and speaking engagements worldwide. Interested in collaborating? Over the years The Sweetest Occasion has partnered with dozens of leading lifestyle and food brands including Valspar, Land of Nod, Absolut, V8, Munchkin, Kendall-Jackson, Skinnygirl Cocktails, Baileys Irish Cream, Air Wick, Pottery Barn, Williams-Sonoma, and countless of additional internationally recognized companies. Working with brands one on one to create something truly beautiful and unique is a passion. I am highly selective about who I work with, and only align myself with brands that I truly love and respect. I would love to hear from you and chat about working together! To get started, send me an email at [email protected] and say hi!